Home / Insights / A mobile app for B2B channel partners – investment or gimmick? 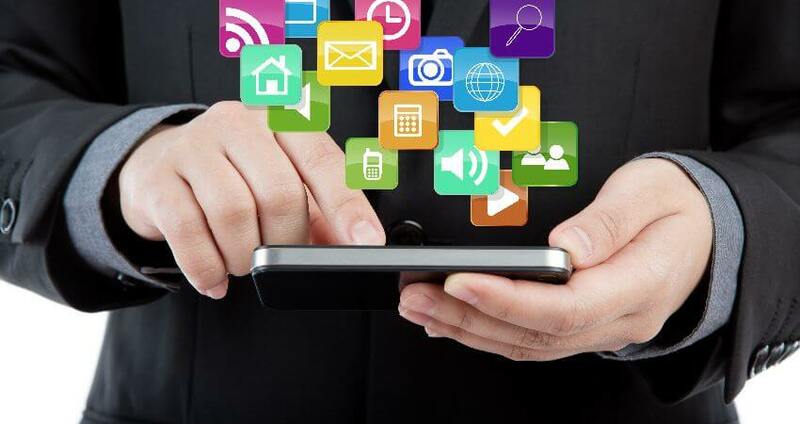 A mobile app for B2B channel partners – investment or gimmick? The beginning of the 21st century has already seen technology make massive strides forward. What has become evident over the last 10 years is that as consumers we have an unquenchable thirst for mobile technologies in particular. The birth of the smartphone brought about new ways for people to consume media on a daily basis, primarily through the platform of mobile application technology. In the past, apps have typically been utilised by B2C businesses as a method to summon conversions but as development costs are getting cheaper, B2B businesses are looking to harness the mobile evolution to help inform, promote and sell their products and services. So what does this mean for those of us in the IT channel? Firstly, developing apps in the B2B world can often leave marketers scratching their heads for ideas. If you do decide to invest in an app, you need to think carefully about what its purpose will be. Given what we sell in IT, for all but a few there is a strong likelihood you won’t be using it to sell what you offer simply because of the typical ticket price and complexities around products and services, taking into account most business is project driven . Instead, you might look to a mobile app as a repository of information for already purchasing customers, or as a means of tracking orders or delivery to enhance the service you offer. With some thought there are lots of options. Availability: It’s now estimated people spend on average 90 minutes a day on their mobile phones, that’s 23 days a year and yes, while the majority of that time will be spent on a very few number of apps, having your app on screen keeps you accessible to your audience for whenever they need you. For example you could choose to develop an inventory app, so at any time your audience will know what you have available to them. Customer engagement: When done successfully, apps offer a great way to generate consumer engagement. Unlike a mobile-ready site, apps are purpose-built for some level of real-time interactivity. The biggest benefit of this is that a business can put the content they want people to engage with right at their fingertips. For example, you could create an app to show your latest promotions, blog articles or opinions on your industry and provide information which may not be easily accessible to your customers elsewhere and guide them through their buyer’s journey. Brand awareness and visibility: Building brand awareness is important for all businesses. Whilst an app is a digital tool, it can also be a great form of self-promotion and advertising. A business has the freedom to do what it likes and decide on factors such as how it looks, what it does and the messages it aims to convey. Creating an app that is designed with purpose-led features will potentially make your customers more willing to engage and return to you. Stay ahead of the curve: It’s still relatively uncommon to find mobile applications being used in the IT channel and that’s a great reason in itself to start developing one. The development of an app can be a great opportunity to push past your competitors and offer something different. Not only that, it’s also a way of impressing your customers with something innovative and presenting yourself as a forward thinking business. So what are the considerations? Although it’s getting cheaper, developing a mobile application, like a new website, requires investment and time. In the past the early app adopters were large B2C businesses and retail businesses who either had or expected to see a quick return on their investment. With B2B applications your core goal will be something different, probably to aid your customers through the buying process or improve on how you deliver your service in some way. For this reason, assessing the impact of a mobile app on your business will be more challenging. Think carefully, about what measure or indicators will suggest the app is playing a positive role in your business – perhaps downloads, enquiries, fewer support calls into the office, faster problem resolution etc. One thing that does need to be considered is uptake. Each day there are hundreds of mobile apps released onto the market, the majority of which fail miserably. With B2B apps it can sometimes be regarded as an in-house gimmick or vanity project that is there for the sake of it and not providing your customers with anything useful. Reflect on this when you’re scoping your project. It’s now estimated apps lose 90% of their users in the first 6 months. There’s a host of reasons that are responsible for this from desire to use, is it fun or useful for instance, visually unappealing, bug issues and so on. If you embark on a project, have this statistic at the top of your mind and do whatever you can to iron out these common issues.